Peter obtained his LLB in Law from the University of Adelaide in 1985 and an LLM (IP&IT Law) (Dist.) from the University of Hong Kong in 2008. Peter was admitted as a barrister and solicitor of the Supreme Court of South Australia in 1985. 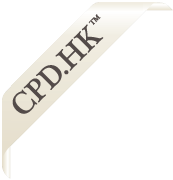 He subsequently worked in private practice, specialising in commercial and civil law, until coming to Hong Kong in 1993. For a number of years thereafter, Peter worked with the late Mrs. Pam Baker on refugee cases, particularly those in relation to Vietnamese asylum seekers. In 1999, Peter co-founded the law firm Barnes & Daly, of which he remained a partner until 2013 when he left to join the bar. During his partnership at Barnes & Daly, Peter was involved in several well-known judicial review cases related to the Basic Law, including landmark challenges in those relating to the right of abode, in addition to a series of cases concerning the rights of refugees and asylum seekers (including those in relation to the Convention Against Torture). At the same time, Peter worked on civil claims and matrimonial disputes, appearing as an advocate in both the District Court and High Court. Peter was called to the Hong Kong Bar in the beginning of 2014 following pupillage with Mr. Clive Grossmann S.C., Mr. Robin Egerton and Mr. Jonathan Wong. At the bar, Peter continues his diverse practice, with particular emphasis on matrimonial and family disputes, constitutional and administrative law, judicial review and general commercial litigation.